John Wanamaker had long championed artistic displays in his stores, and his designers drew their best promotional ideas from the world of art and literature. 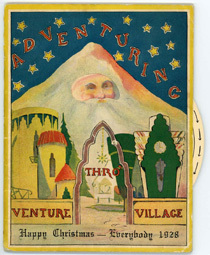 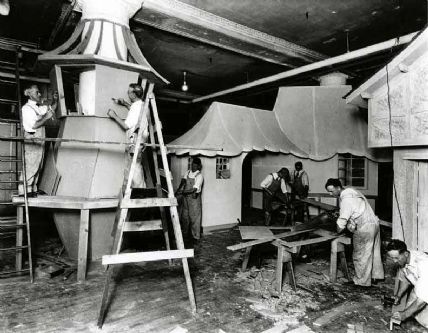 Wanamaker’s settings for Santa always involved a walk-through storybook-land—such as Venture Village, conveniently erected next to the toy department—where the largest display element was often an open book. 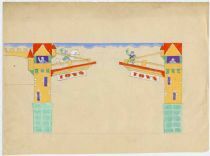 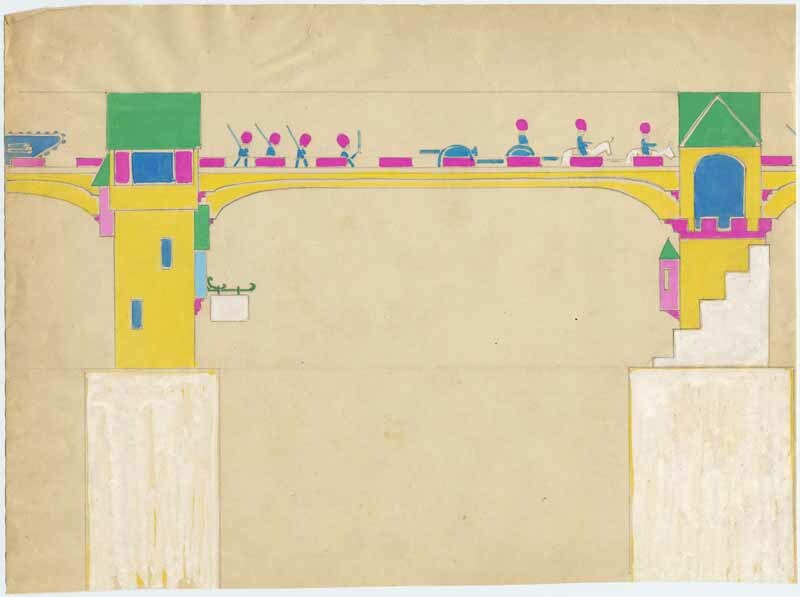 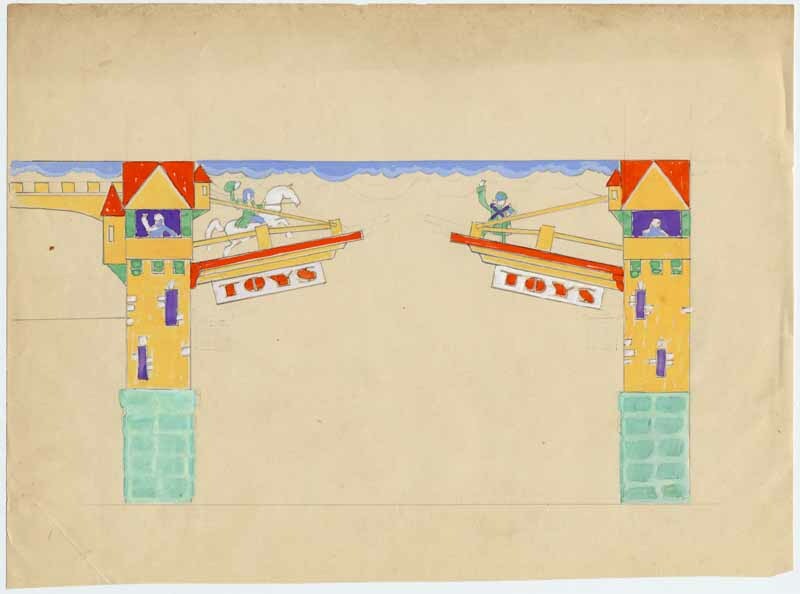 Toy department displays, pencil and tempera renderings by Landy R. Hales, undated. 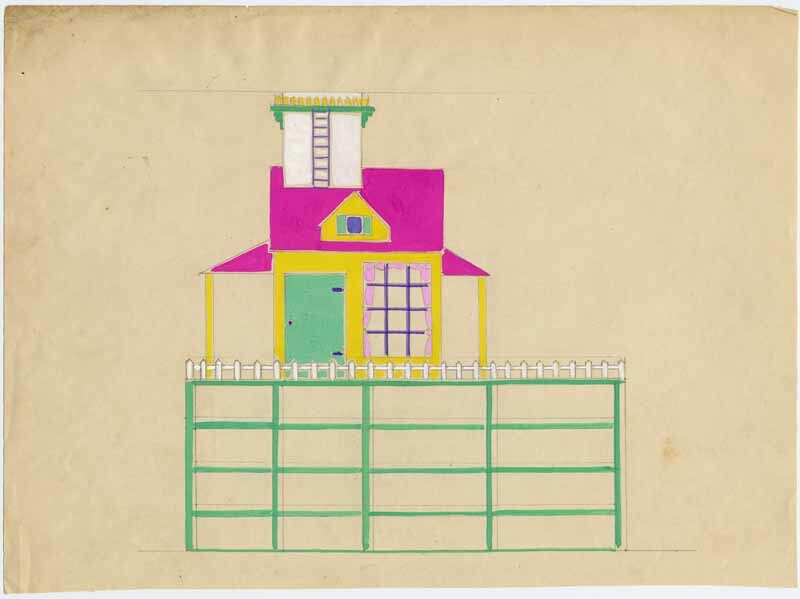 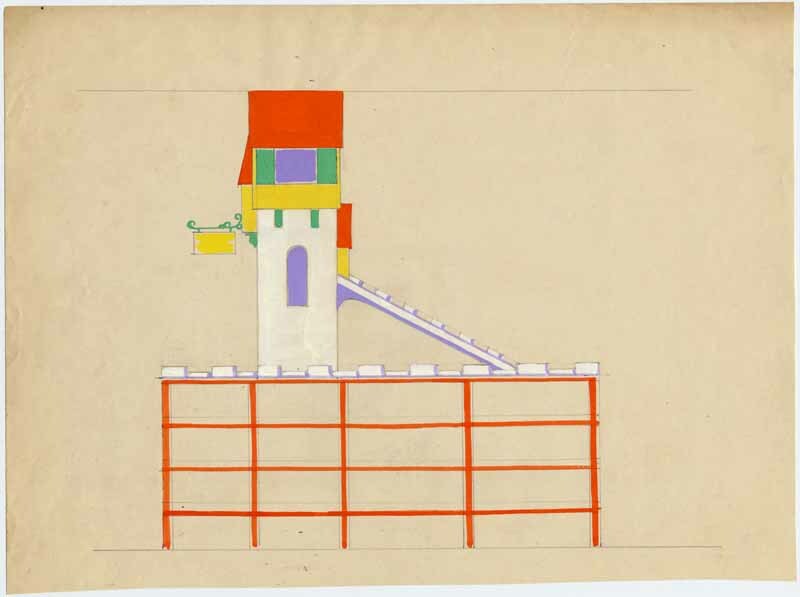 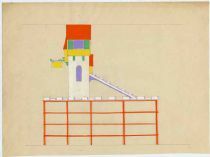 In the 1920s, a “storybook style” became popular for toy department displays—a colorful, cartoonish version of medieval village architecture. 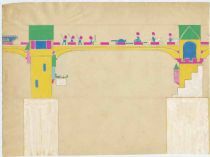 Although the client for Hales’s designs is unknown, these drawings embody an approach that has become a staple of holiday display.